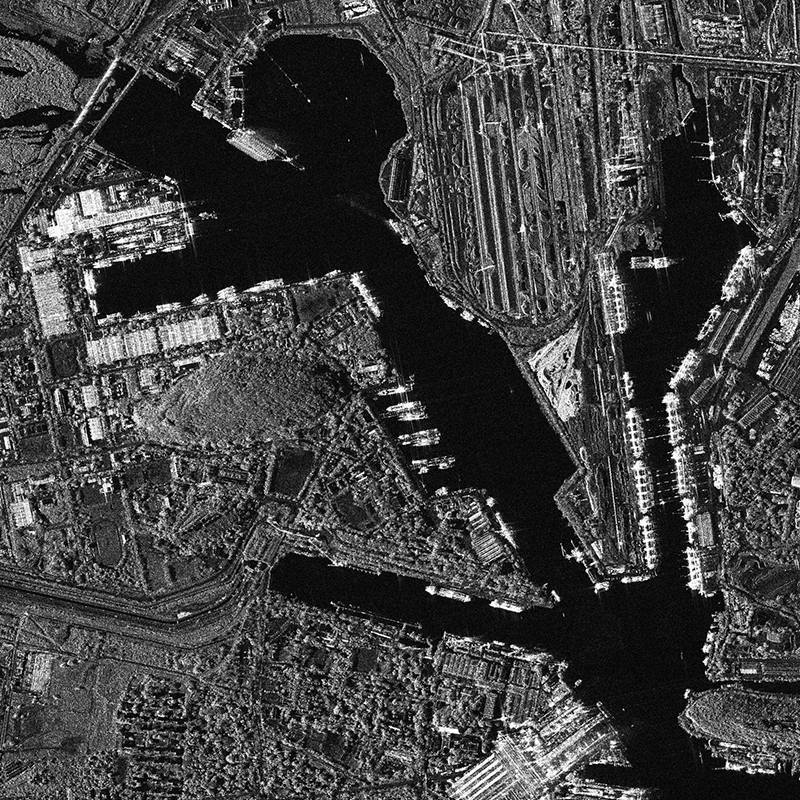 TerraSAR-X SpotLight Acquisition of the Port of Visakhapatnam in India, recorded on 12 October 2008. The ground resolution of the image is 1m. Visakhapatnam is one of the busiest ports of India and features the countries largest shipyard. Port installations (docks, cranes, tanks etc) and different vessel types can be distringuished by analysing the characteristics of the radar backscatter signal.